It’s hard to over-estimate the importance of taking care of your skin. It’s the body's largest organ and is the first line of defence against infection and disease. So, if you notice splotches, dark spots, or any skin pigmentation issues, you definitely want to do what you can to prevent further damage. The good news, though, is that you can fix a lot of pigmentation problems yourself. This article will go over eight home remedies you can use to lighten your skin and eliminate any unsightly blemishes or dark spots. Lemon juice and orange peels are natural skin bleaching agents. They contain lots of vitamin C, which plays an important role in producing the collagen fibres that help support your skin and keep it firm. When applied topically, Vitamin C has been shown to slow down hyperactive melanocytes. These are the cells that produce melanin in the basal layers of the skin which causes the skin to "tan" or become darker. 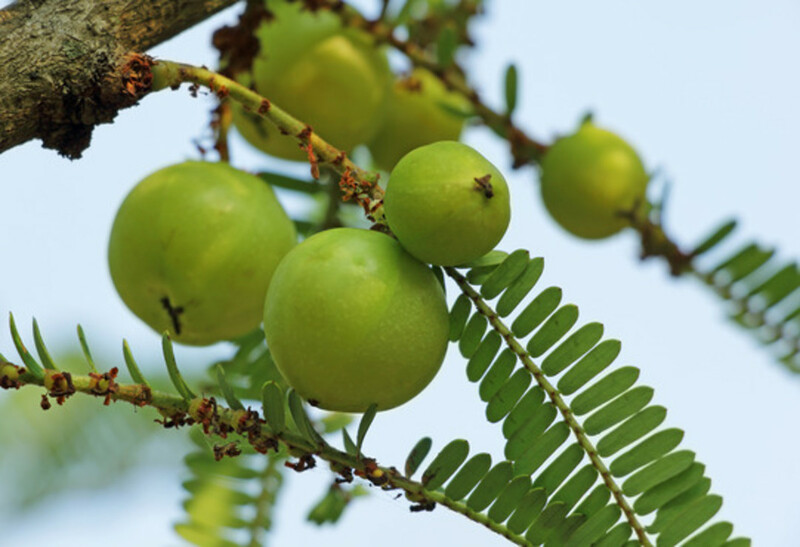 A clinical study published in the Journal of Agricultural and Food Chemistry has shown that glabridin can inhibit the melanin-producing enzyme tyrosinase by as much as 50% – and without damaging skin cells! Licorice extract is effective in treating post inflammatory hyper-pigmentation (including dark spots), can also be used to reverse the damage caused by acne scars, and contains anti-inflammatory properties that help soothe the skin and reduce redness. 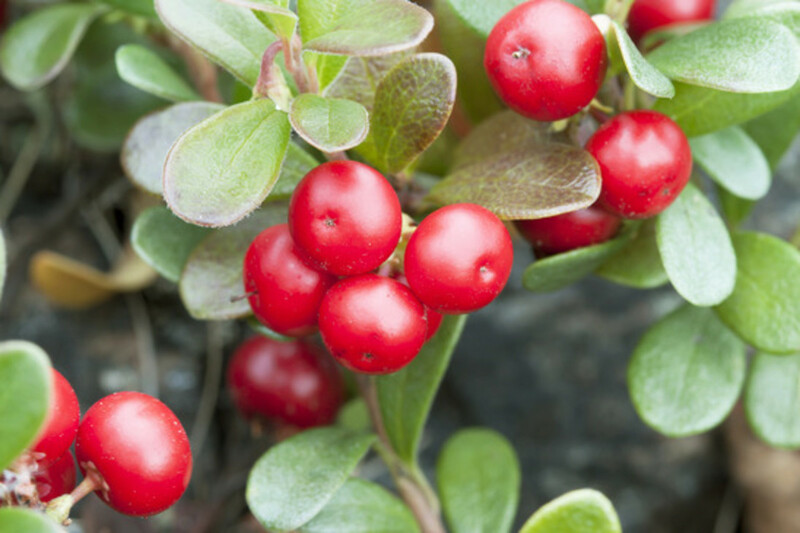 Bearberry extract comes from the leaves of the plant, not the fruit! Can I apply honey on my skin to get rid of dark skin? Honey has antibacterial properties, and it is also an antioxidant, It is good for treating acne and helps to slow down the aging process. It helps to moisturize and soothe the skin, but it is not really a skin lightener, when used alone. Is there any product that I can use apart from maladerm for skin lightening? How do I add the ingredients to skin whitening cream? how can one get Meladerm In Nigeria? You can purchase Meladerm online through Civant Skincare. They ship to most countries in the world. What natural ingredients work for stretch marks, knuckle removal, and body scrub? Some natural ingredients for stretch marks include argan oil, lemon juice, and egg whites. You can find recipes online. I'm not sure what you mean by knuckle removal, but the whitening ingredients in this article can be used to lighten these areas. A suggestion for a body scrub is to mix 1/2 cup sugar, two tablespoons honey, one tablespoon oil (like almond or jojoba oil), two tablespoons lemon juice and if you like 4-5 drops of lemon essence or sandalwood and some dried parsley. From my face to my lips is light, but my legs and feet are dark. Why? Your legs might be darker naturally, possibly due to a genetic condition. Or maybe they have had more exposure to the sun than the rest of your body. Can I use lemon juice, orange peel, honey and olive oil to clear black spots on my leg? Yes, these ingredients are often recommended to help remove black spots on legs. The honey is good for scars too. Can lemon juice be added to water and used as a final rinse in the bathroom? Or added to one's body cream? It is possible to do both of these things! If you want to add lemon juice to your body cream try mixing 2 tablespoons of lemon juice to 2 tablespoons of body moisturiser and mix in a bowl. Can I mix Vitamin B powder with Dove Body Lotion? I haven't tried this with Dove body lotion as a base but you could try mixing the powder in. It might need to be heated slightly to dissolve the powder or it could be gritty. Be careful not to overheat. Look for tutorials online that show you how to mix whitening ingredients into a base lotion. Can Niacinamide and licorice lighten skin? Niacinamide and licorice extract are both skin lightening agents. Both have been shown to inhibit the production of melanin, the brown pigment in the skin. Could I mix milk, lime juice, egg white, and glycerine to form a cream base? You could use these ingredients to make a whitening face mask, but I'm not sure about mixing them into a base cream. How can I make skin lightening cream at home? How do I apply the orange peels and lemon juice together on my body? Orange peel can be dried and crushed to a powder. You can mix it with lemon juice, gram flour or yogurt to make a body or face cream. Can I use tomatoes and sugar for pimples? A tomato and sugar scrub can be used to exfoliate the skin. Tomatoes are a natural anti-inflammatory and contain antioxidants. They can help reduce the size of the pores and any skin redness caused by acne. Tomatoes help to dry up oily skin and acne. You can put tomato pulp on any spots and leave it overnight. Try not to cover your whole face, as tomato can be very drying. If I add lemon juice to my body wash will my skin tone up and get brighter? Yes, it is possible to add lemon juice to body wash. It is suggested that you add about 1 cup of juice to your liquid soap. The other way is to add 1/2 cup lemon juice to your bath water and soak for 20 minutes. How should I mix these ingredients, and in what way do I use them? You can mix these into a base lotion, but ingredients like kojic acid need to be dissolved over heat first, so the cream is not granular. If you search for "adding whitening ingredients to lotion," you should find some video tutorials or recipes. Are there oils that lighten the skin? Yes. There are a number of oils that lighten and brighten the skin. Amongst these are grape seed oil, lavender or chameli oil, and carrot oil. Can these ingredients be used in making soap? Yes. 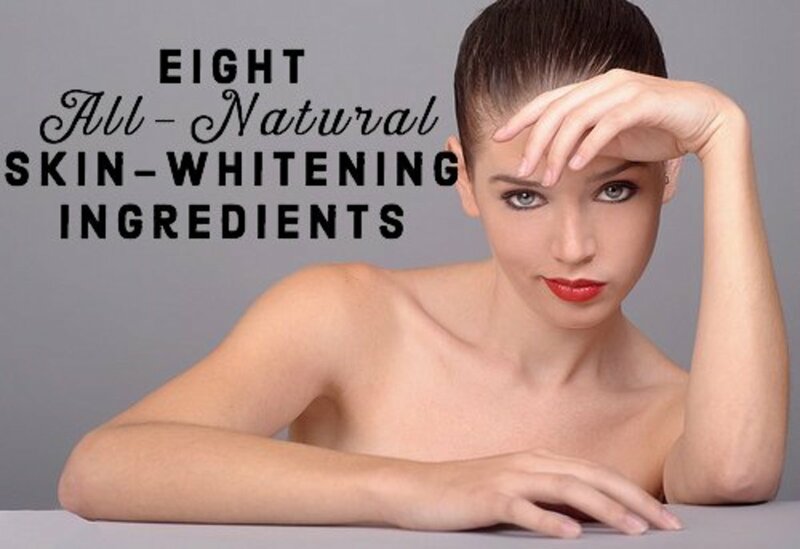 You could add some of these ingredients when you make skin whitening soap at home. You will need to use a natural soap base like Pears soap which is grated and melted into a liquid form before you add other ingredients. There are some video tutorials online that demonstrate this. Search for "skin whitening soap recipe". Are these ingredients meant for cream or soap? These ingredients can be mixed into a base cream. 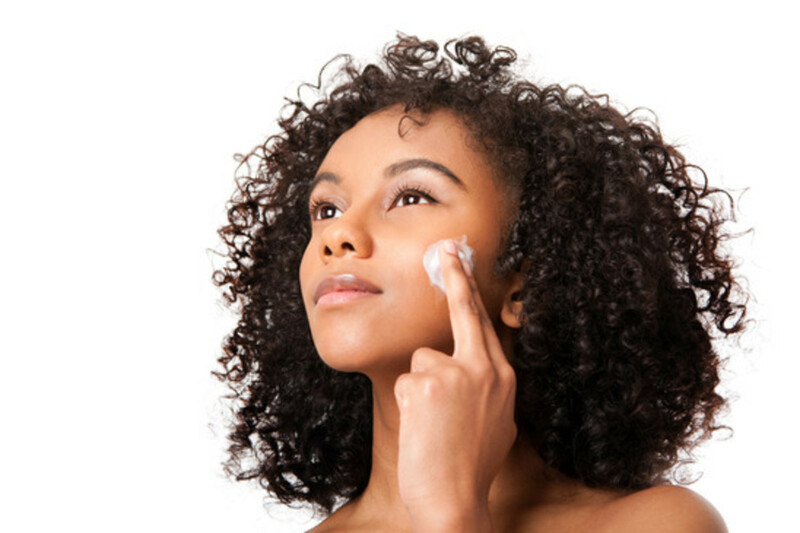 You can find tutorials online that will show you how to make skin whitening cream at home. I have redness on my facial skin that I would like to lighten. Would this product work? how do I mix skin lightening ingredients to include preservatives? If your mixture contains water then it is best to add a preservative as bacteria and mold can grow quickly. Search for natural preservatives. If there is no water then you mixture should keep longer with just antioxidants mixed in. Can vitamin B3 be mixed with Caro White Lightening Cream? Vitamin B3 powder can be mixed into a base lotion. However, I'm not familiar with Caro White Lightening Cream. Where can someone get the above ingredients for these skin remedies? These ingredients are generally available from health food stores or online. I know Amazon has some of these. Does this natural cream also work for pimples? Yes, Meladerm can work to reduce the appearance of acne scars. Will using lemon juice on its own lighten skin and remove dark spots? How can I whiten my Rosacea skin? Rosacea cannot be-be whitened with hydroquinone or bleaching products. It's best to see a dermatologist. Some suggest using products with vitamin A and vitamin C like rosehip oil to reduce the redness. Rosehip oil has anti-inflammatory and antioxidant properties that help soothe sensitive skin prone to rosacea or acne. Try to pick creams that do not clog your pores. Dermatologist Marie Weinstein offers this advice: "Avoid common rosacea triggers to help reduce redness and flushing such as red wine, caffeine, stress, exercise, spicy foods and sun exposure". Always use a high SPF sunscreen when outdoors. There can be many different causes of acne. As a general rule, it is suggested that you keep your skin clean, make sure your hands and hair are also clean you can exfoliate the skin and use moisturizer. It is also suggested to avoid too much sun exposure. If you are concerned you should see a doctor or skin specialist to find the possible cause of your acne. 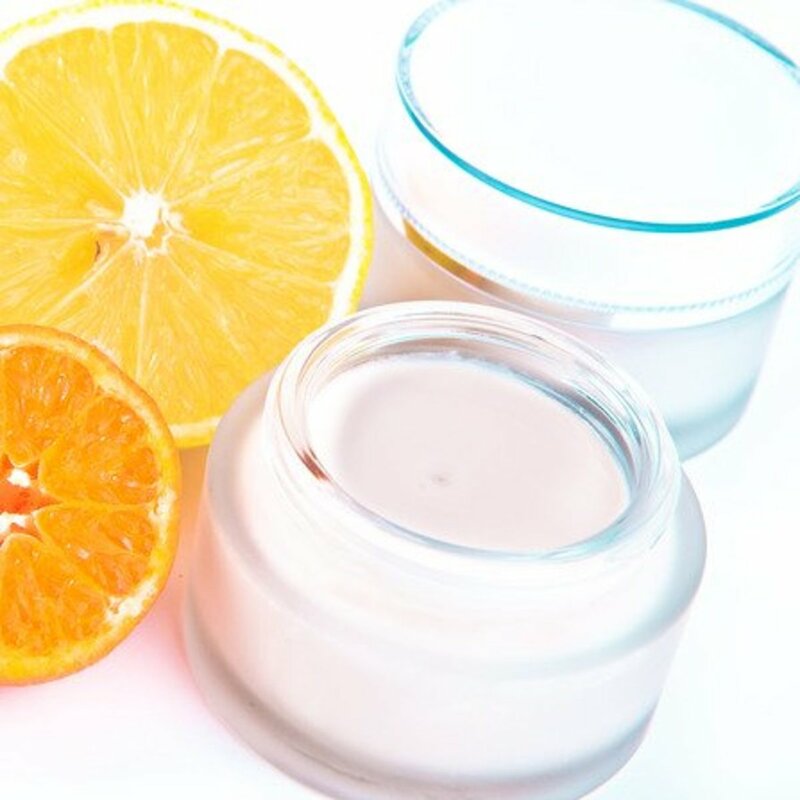 How do I use citric acid to lighten skin? Citric acid can be used for skin whitening. It acts as an exfoliant promoting new skin growth and reducing the appearance of age spots, acne scars and areas of uneven skin tone. You can mix citric acid with milk to make a mask. Or try this recipe for unclogging pores. In a saucepan mix and gently heat 2 tablespoons of citric acid with 1/2 cup water, 1/2 cup orange juice and one pack of gelatin in a saucepan. Heat until the gelatin and citric acid powder fully dissolve. Cool and refrigerate for 25 minutes. After applying this mask, leave for 30 mins before washing off. Do I need a preservative if I make a lotion with these ingredients? It is recommended that you only add a small amount; 10 -15% of additional ingredients, to any base lotion. If you are adding more than this, you would need to add a preservative. If you are making homemade whitening masks, you can store them in the fridge, but they should be used up in a short time frame as they won't keep for long. How can I get rid of discoloration on my face, neck, underarm and thighs? You could try an all natural whitening cream like Meladerm. This can be used on the body as well as the face. Or, you can search for skin whitening recipes online that are suitable for use on the body and face. How much does Meladerm cost? The 1.7 oz bottle of Meladerm costs $49.99. That should last two to three months, depending how often you use it. Two years ago I was very fair, but by the effect of the sun, I became very dark. Are there any skin whitening ingredients to get back my fair skin? Look for skin whitening creams that have all natural ingredients (avoid hydroquinone). You can also try simple treatments like lemon juice or kojic acid soaps. There are many recipes online to make your own whitening masks. Remember to use a high SPF sunscreen at all times because whitening ingredients make you more prone to sunburn. Can lightening cream causes stretch marks? What kind of ingredients can a fair person use as a cream? Are you wanting to maintain your fair skin? The same ingredients that are used to lighten skin can also help to keep the skin fair. Just remember to use a high SPF sunscreen to avoid sun damage as much as possible. Can I dissolve kojic acid in grapeseed oil and put it in my lotion as a skin lightener? Although I haven't tried this I believe it would be fine to dissolve kojic acid in grape seed oil. You might need to heat it slightly so the kojic acid powder dissolves. Does skin lightening have any effect on the skin? Skin whitening creams inhibit the production of melanin, the brown pigment that helps to protect the skin from UV rays. This will make your skin more photosensitive, so it is recommended to limit your exposure to the sun's rays and always use a high SPF sunscreen. I'm a builder and live in Australia. I used to love my dark skin until I started working in construction, after many years of working under Australian harsh sun, I noticed that my skin became darker and not good looking. I'm not a fan of using bleaching creams. These natural ingredients, how effective are they if I start using them? Where can I purchase them, and what advice can you give me? Skin lighteners will make your skin more photo-sensitive so you will need to use a good quality, high SPF sunscreen when outdoors. What can help in removing dark spots from an oily face? Skin whitening treatments using lemon juice are good for oily skin. You could try an apple and lemon juice face mask. Mash up a sliced apple with a fork. Add lemon juice and mix into a paste. Apply the mixture to your face. Leave it for 30 minutes, then wash it off with cold water. Can I add glycerin, rose oil and vitamin B 3 to Essano cream? I am not familiar with Essano cream. I see it contains rosehip. It might be possible to use this as a base lotion to add other lightening ingredients. Can I use a skin lightening cream with Idole bath soap or an egg yoke bath? I would say yes. You could also try using an all natural whitening cream like Meladerm. It can be purchased online. Can I buy the ingredients to make my own skin lightener? Yes you can buy most of these ingredients online at Amazon to mix into a base cream. Look online for instructions to do this. Mixing kojic acid into some sort of base cream and you might need to heat the mixture slightly for some ingredients. Can I use carrot oil as my skin cream? What can I add to it to brighten my skin and what can I add to my black soap too? Carrot oil is good for skin lightening. You can mix equal parts of lavender oil and carrot oil. Apply to a clean face and leave it to dry, about 20 mins, before washing off with warm or cold water. You can add many ingredients to black soap. One recipe I found adds 100ml lime juice to 1 kg black soap. Leave for an hour before pounding the soap in a mortar. Then you can add 30g turmeric, 30g cinnamon, 25g licorice powder, 30g shea butter, 30 ml sweet almond oil, 30 ml carrot oil, 5ml vitamin E oil and a small amount of glycerin and honey. There are many recipes on the internet. How can licorice be mixed in a lotion? You can purchase licorice extract powder that can be mixed into a base lotion. You might need to heat the lotion slightly, so the powder dissolves but doesn't overheat. You can buy licorice extract at Amazon. Meladerm products, is it good for dark skin and is there side effect applying it on the skin? Meladerm is made from natural ingredients. Its suitable for all skin types and usually has no side effects. When you first use this product, there might be some redness of the skin. This usually settles down after a week. It's best to test it on a small patch of skin. First, some people have very sensitive skin. Is clotrimazole powder a whitening agent in skincare, and is it safe to use? I am not familiar with clotrimazole powder as a whitening powder. As far as I can see it is an antifungal treatment. Can I apply honey and lemon juice on my blemished skin? Yes, both honey and lemon are good for your skin. Lemon juice can be a bit drying, so the honey will help to moisturize. Can potato juice be used to reduce dark spots? Why is my skin neither lightening nor whitening? I kept using both lightning and whitening cream yet my skin remains dull and dark. I also use an essential fairness face scrub. Can I use Kojic soap on my face? Yes, you can use Kojic acid on your face. Use warm water first to open the pores in your skin. Massage Kojic Soap and water into your face. Leave for no more than 30 seconds before washing your face off. Can I use citron in place of lemon for skin lightening? I believe lemon would be better, because citron has less juice. What are the appropriate measurements of the ingredients to be used for making whitening soap? I found this recipe at SkinWhitening News.org. You can use Pears soap as a base. You will need to grate and melt the soap first then add: 1-1/2 teaspoons of rice flour, one teaspoon of honey, almond oil and aloe vera gel, and two teaspoons of apple cider. You can put this in a small container and let it set in the fridge. Am I to use all the ingredients together to lighten skin and remove dark spots? Yes these skin lightening ingredients can be added to a base cream. However it is not essential to use all of these together. How do I orange and lemon peel before adding to my cream? (2) can these peels be added to bathing soap? I haven't tried this but if lemon and orange peel are dried in the sun or dehydrator you could grind them into a powder to add to a base cream or a soap. Where can I get skin lightening ingredients online? You can order many of these ingredients online at Amazon, for example. If you cannot get some ingredients online, you can always look up skin whitening recipes that just use common ingredients found in the home like lemon juice, turmeric, orange peel, gram flour, milk or papaya. I bought citron instead of lemon. Can it still work for skin lightening? Citron belongs to the citrus family and is mainly used for cooking and medicinal purposes. They add flavor to all types of food and drinks. However the citron has less juice than that of the lemon, so I think lemon would be better for skin lightening. What's Your Favourite Skin-Whitening Ingredient? Dark spots can be faded using lemon juice or choose creams that contain kojic acid, vitamin C or hyalaronic acid. Gel bases creams are best to use on oily skin. For example face washes with tea tree oil or aloe vera. You can also try massaging your face with saffron essential oil. Hi. For dark spots you could try something simple like lemon juice or purchase a natural skin whitening cream like Meladerm. There are also many homemade recipes online to try. For stretch marks some doctors recommend retinol creams that contain Vitamin A. Many people report that Bio-Oil works very well to reduce the appearance of stretch marks. You can buy it at your local supermarket or pharmacy. Two popular whitening soaps that you could try are: Papaya and Kojic Acid whitening soap, or Glutathione Whitening bleaching soap. Hi. Some suggestions to help rough skin are: Try and avoid the sun, always use a sunscreen. Wash your face in luke warm water and not hot water. 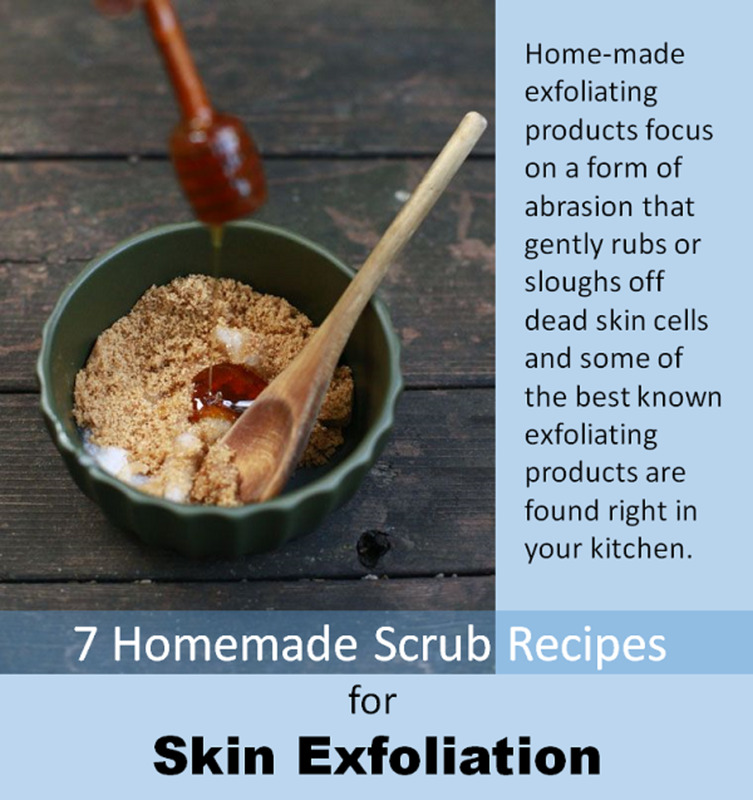 Exfoliate your skin once or twice a week with a mild scrub. Moisturise your skin daily, several times a day is okay. Use products that have ceramide, petrolatum or lanolin. 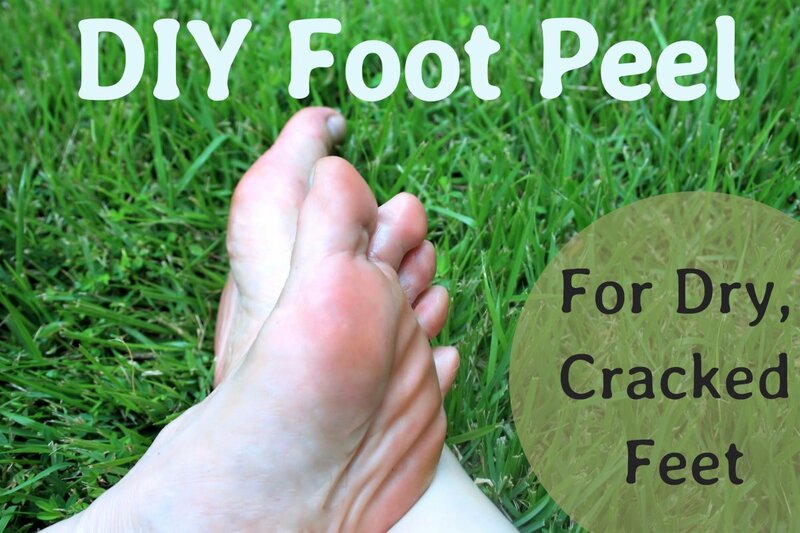 Creams with lactic acid or urea can also help soothe extremely dry skin. Avoid dry air by using a humidifier in your room. My face is so rough and i dont like it,please how can i get rid it of because i want it to be smooth . Hi Nikkia. You could try an all natural skin whitener like Meladerm, just apply to affected area. Or you can try common ingredients found in your kitchen. Try applying fresh lemon juice to the spots twice a day. If this doesn't work you could try horseradish. Wipe fresh lemon juice over your face first, then apply a mixture of horseradish, vinegar and honey to the spots. Let this soak in before rinsing off. Remember to use sunscreen after all treatments. Skin whitening agents that remove dark spots also make your skin more photosensitive. I am not so familiar with nettle rash and I believe antihistamines are usually prescribed to relieve this. Some natural remedies that might help are oatmeal baths, calamine lotion, milk of magnesia or witch hazel. I also read that you can apply vinegar to the rash or a paste made from baking soda and water. Hi Latif. All of these products help to moisturise your skin and coconut oil is useful as it has anti fungal properties. However, coconut oil is not usually recommended for very oily skin. Castor oil has antimicrobial and anti inflammatory properties which can help to reduce acne. It helps to relive dry or itchy skin. Lemon or orange peel can be dried in the sun or in a dehydrator, then ground up before adding to a base cream or soap. How can i do the orange and lemon peels before adding it to the cream ? (2) Can these peel be added to cream? Hi Nomusa. All of these ingredients are proven to lighten skin. You can buy most of these online eg. at Amazon. You can mix some of these onto your own base cream to make a skin lightener also. Look for tutorials online. Good luck! Yes. You dont have to use all of these ingredients if you are making your own cream. 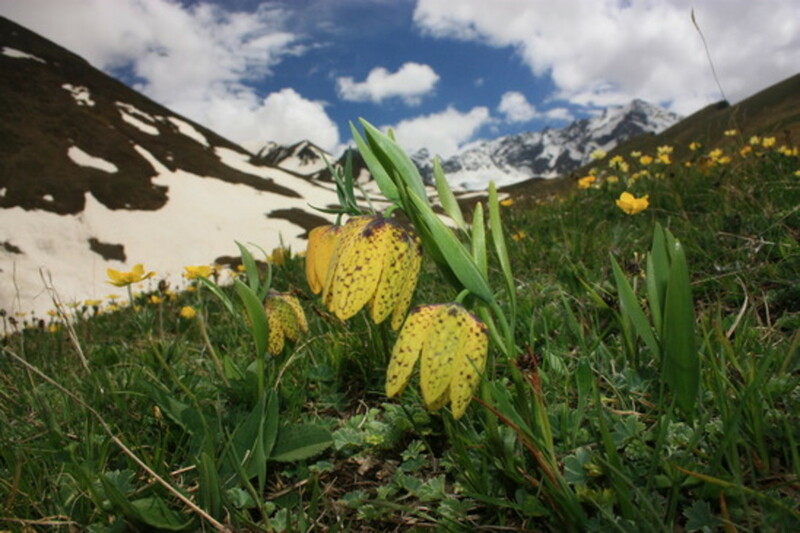 You can also buy skin whitening creams that have these natural ingredients, like mulberry extract, in the formulation. Based on your list, it looks like most berries are definitely good for our skin. However, in some places, most berries are bit pricey. Maybe the other ingredients can suit one's budget. Hi. The most effective ingredient to add would be kojic acid and then choose one other. You can generally use any natural or organic moisuriser as a base. You can search for Vitamin E Base Cream on Amazon for example. This is a fragrance free cream suitable to use as a base. Of all the whitening ingredients listed which two can be combined with base cream to get effective result in weeks. Please what are the natu ral base cream Available. As far as I can see clotrimazole is an anti-fungal medication used to treat fungal skin conditions like atheletes foot, jock itch and ringworm. Hi. You can apply lightening ingredients like lemon juice to dark spots if you don't want an overall lightening effect. Hi Natstar. You can try lightening with natural squeezed lemon juice or buy lemon juice extract online at sites like Amazon. Skin serums and cleansers are usually considered safe if you look for natural ingredients. Hi. I dont know if there is an Amazon in Abuja, Nigeria? But I believe Anazon US will ship most items to Nigeria. If your cream does not contain water you can add antioxidants like Vitamin E and Rosemary oil extract. can we use all of the above ingredients at the same time? and what preservative wuld be needing to increase its shelf life? Hi Hope. It sounds like your skin is very sensitive to skin whitening products. Have you tried using a product with all natural ingredients like Meladerm? It contains no hydroquinone and can be used on the face or body and is generally suitable for all skin types. People with very sensitive skin should test this on a small patch of skin first before using it all over. Hi Benita. I think you are asking if these ingredients will mix into a base cream? I'm not sure because I haven't used these. There are a number of video tutorials on You Tube that show how to make a whitening base cream if thats what you are looking for. These ingredients could make a lightening face mask though. If you try this please let us know how that turned out. Hi Johny. Lemon juice can be applied to dark spots to reduce their appearance. There are a number of recipes online for whitening masks that target black spots also. You do a search for these or see my article about using lemon juice to lighten skin. It has a number of recipes to try. Please i have dark spots on my face from pimples. How can i get rid of them?? It appears that you have sensitive skin? I can suggest you try a brightening masks that have all natural ingredients and moisturising ingredients in them. You could try an all natural lightening cream like Meladerm. It is suitable for all skin types and made from natural ingredients. You could do a small test patch. If you are not happy with the result they do offer a 30 day money back guarantee. Please i need to brighten my face,but each time i try my old skin reaction pops out all over again,what should i use instead? Hi Bilqeess. Are you worried about using skin whitening products because you have dry skin? You could try a product like Meladerm cream which has natural skin lighteners formulated with moisturising ingredients. Hi Tehniyat. I am not familiar with this cream but kojic acid is a natural product that comes from a fungi (mushroom). You could test the cream on a small patch of skin to see if it causes a reaction. What about "kojic acid whitening cream " of vitamin company..is it safe to use ? My skin is bit sensitive can i use it ? Hi Fatima. Meladerm is only available online. You can order it from Civant Skin Care. They ship to most countries in the world. Hi Aaron. I haven't seen a recipe with these 3 ingredients but tomatoes are helpful for skin whitening as they contain lycopene, a strong antioxidant that offers protection from the sun's UV rays. Tomatoes also have Vitamin A which helps to fade spots. Orange peel has more Vitamin C than orange juice so some people dry the peel and then grind it up to add to a face mask. Eggs are wonderful for the skin as they help to hydrate and soften the skin. You're article is educative. I'll like to know if these natural brighteners have side effects with long term use. For those in Nigeria that need licorice, mulberry etc please send a mail to Laurendibiana@yahoo.com for more info. Hi. Blessing. You could try Meladerm which has all natural ingredients and can be used all over the body. You can purchase this online from Civant Skin Care and they ship to most countires. Another brand is Pink Madison whitening cream which is suitable for use on the body also. This sells on Amazon. Both products are manufactured in the USA. Hi Ody. There are tutorials on You Tube that can show you how to add whitening ingredients to a base cream. The cream neesds to be heated a little but be careful not to overheat it! I know you can add things like kojic acid, licorice and bearberry extract to a base cream. Hi graham. Tomatoes and milk or milk powder can be used as a skin whitening mask. I'm not sure how this would go mixed into a base cream? is it okay to mix milk powder, and tomatoes with your base cream for clear skin? 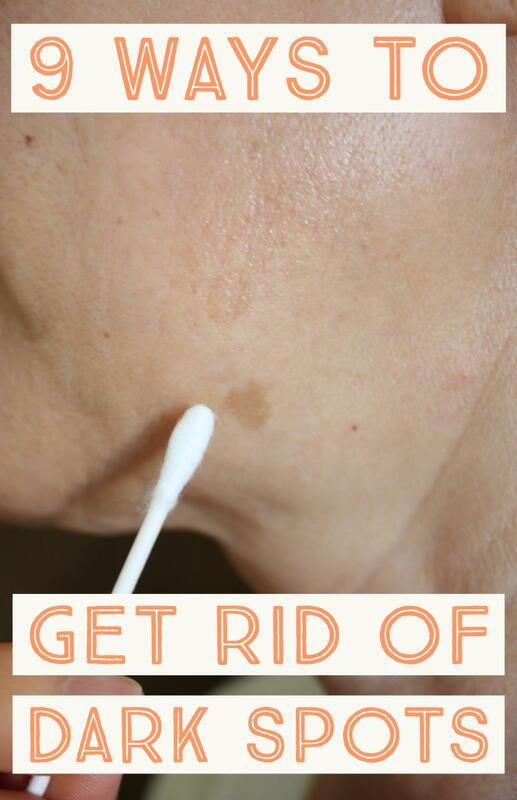 If you are applying a skin whitening cream like Meladerm you would do this first. Leave it for 10 minutes before applying sunblock or make up. A regular routine would be cleanse, tone, mask and then moisturise. Hi Chioma. I dont have a recipe that uses all these ingredients but I know you can add things like kojic acid, licorice and bearberry extract to a base cream. Search for tutorials on You Tube. The ingredients can be added when the cream is heated slightly but be careful not to overheat it. Hi,please how can i make an active brightening cream using all the above ingredients? Hi Susan. Some people use lemon juice daily to lighten the skin but it is best to dilute it with a little water. Wait 24 hrs after applying to make sure your skin is not irritated. Remember to wear sunscreen as your skin will be more photosensitive to the suns UV rays. Hi Avelia. 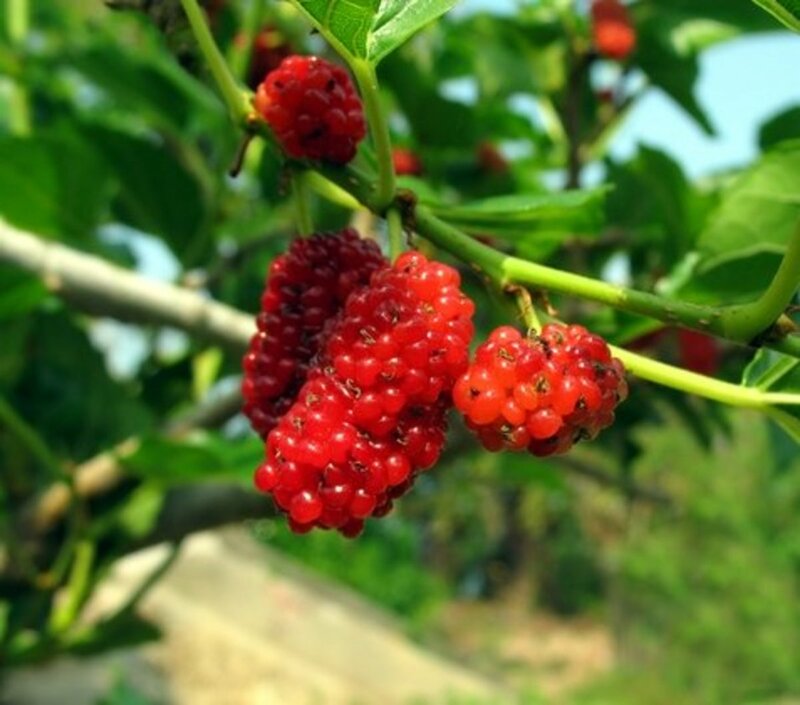 White mulberry extract would be suitable for whitening. I'm not sure about mangosteen. I usually just buy a whitening cream with natural ingredients so Im not sure what proportions you would use to create your own whitening lotion. Hi. Currently, I'm doing my study about natural whitening agent and to develop/formulate the whitening body lotion? 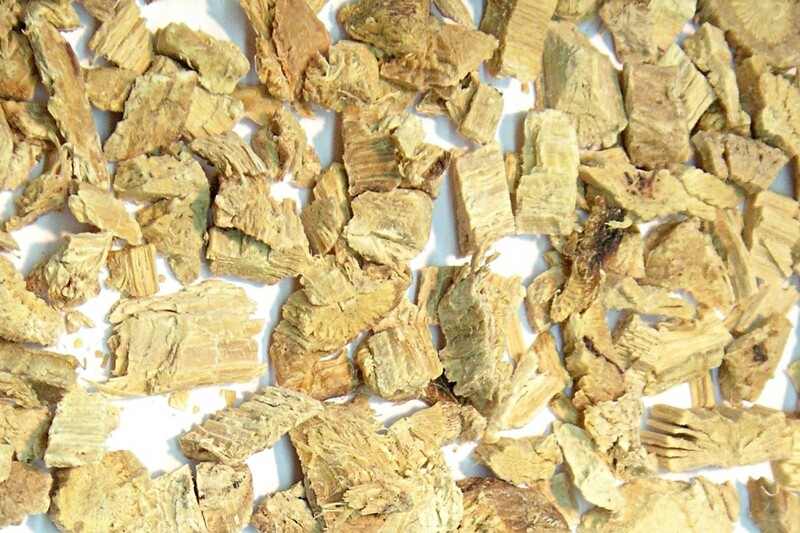 Can I ask, there is potential if white mulberry leave and Mangosteen pericarp extract to combine as a whitening agent? And what ingredient for body lotion and the quantity used? Is there anything like miracle powder in cosmetic products? Hi Dorcas. There are a number of recipes for making skin whitening soap online. Try searching "skin whitening soap recipe". Most recipes uses Pears soap as a base. This is grated and melted before adding other ingredients. I'm not sure where you can buy these ingredients in Lagos. I hope another reader can help with this. I think you mean which ones can I add to body cream? Licorice and bearberry extract can be added in small amounts to your lotion. Also kojic acid powder can be added. It helps to warm the lotion slightly before mixing in new ingredients. Hi Sarah. There are tutorials online that show you how to do this. It is suggested that you warm the base lotion first, to mix in ingredients like kojic acid powder. Be careful not to overheat it though. Hi Issha. Im not familiar with this product. I looked it up and it says its a hydrating serum that can help fade the appearance of dark spots. I could not see the ingredients though. I would recommend trying a cream like Meladerm by Civant Skin Care. I believe they ship world wide. Civant skin care make many products with natural ingredients that help lighten or brighten the skin. Hi Angie pls am chocolate colour and I was using Clarins for my body moisturiser & if I used ordinary facial moisturiser it brings more pimples to my face & my face got more darker than my body a friend introduced me to Crescent White Full Cycle brightening cream & Serum with the Facial balm which has SPF50, by Estee Lauder & i don't know if it will work for me & i don't wheither the ingredients is safe or a harmful side effects. Though I havn't bought them & i live in Nigeria I can't access the ingredients in there site. Pls if you have any idea about it or any good skin brightener. Thank you. Hi Nicholas. Arbutin does work but l8ke any skin care routine you need to be patient to see results. People usually see results after a month of use but continue until they are happy with their skin tone. It will vary according to how dark your sk8n is. Hi Thea. You could try blending these together, in a blender, maybe add a little yoghurt or add these ingredients to a lotion. For example search for "add kojic acid to lotion" and there are video tutorials you can watch. I was thinking of mixing kojic acid, lemon extract, bearberry extract, licorice, & niacinamide. Since these are the only ones I'm pretty sure we have here in the Philippines. Hi, I am actually looking for ingredients to make a toner or a cream. So, I was wondering if I can put together 5 of the ingredients you mention above? Is it okay or is there going to be a negative effect? Hi NathanZion. Im not sure where you can find these skin whitening ingredients in Nigeria. If anyone reading lives here please let us know the best place to purchase these. You can also look online for herbal extracts. where can i get bearberry fruit in the philippines? Hi Ada. You can add kojic acid to your cream but you will need to heat it slightly to mix to do this. You could fill the sink with hot water abd put your jar of cream in there. The trick is not to overheat it. Hi forgive. You could try using a skin lightening cream like Meladerm. I recommend this one because it is made from natural ingredients with no hydroquinine. It is available online through Civant Skincare. 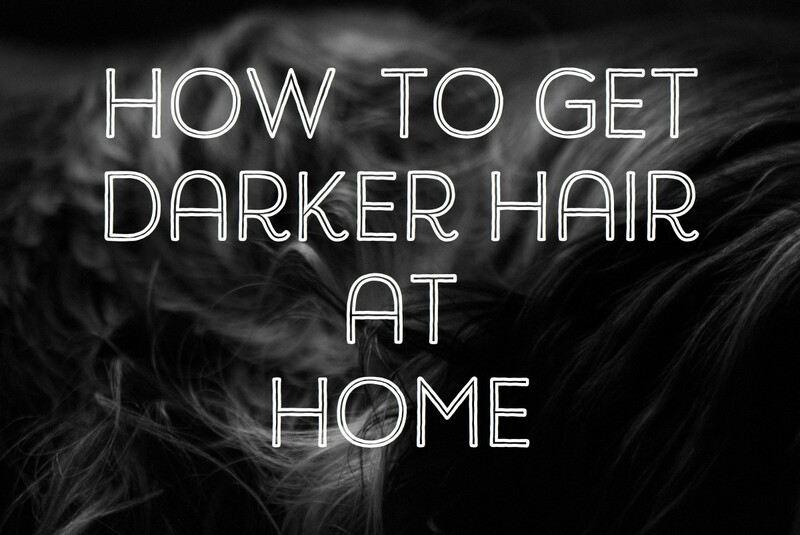 It can be used to maintain a light complexion.